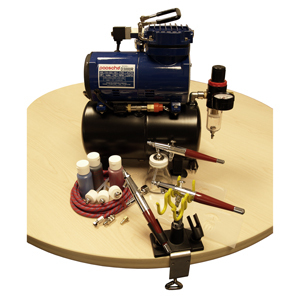 The professional Tattoo Set contains everything you need to begin your tattoo business. The D3000R Compressor is quiet and mounted on a tank with Regulator / Moisture Trap. 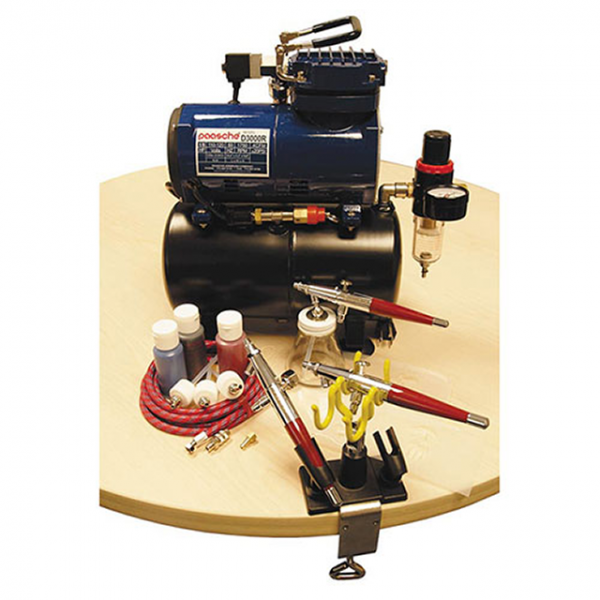 * (1) 8' Air Hose with Quick Disconnect which makes switching from airbrush to airbrush quick and easy. * (6) Stencil Designs - three designs on each of two cards.